Protecting your financial well-being against unforeseen expenses stemming from an accident or loss is a challenging but important task. 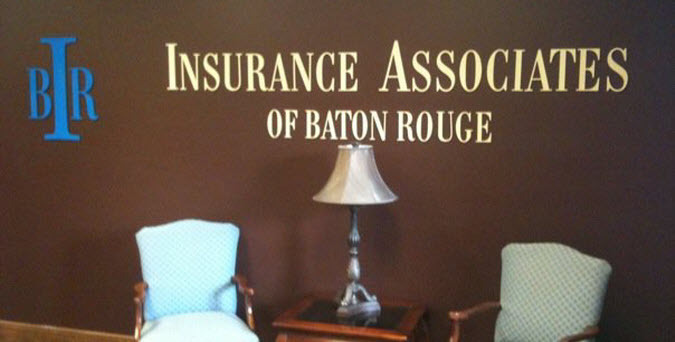 The help of our agents at Insurance Associates of Baton Rouge, LLC, can take much of the difficulty out of the process of comparing and selecting available insurance policies. At IBR, we believe that it is important that you fully understand all of the options available to you when selecting car insurance, home coverage or an umbrella policy. To help you make the most informed choices, we offer advice on your unique coverage situation, and provide quotes from multiple providers. This gives you the opportunity to compare available policies and select the plan that offers you the maximum protection at premiums you feel comfortable with. Request a quote to begin comparing rates and policies. Our experience helping Baton Rouge area residents obtain insurance coverage has taught us many things. Most importantly, we’ve learned that information is incredibly important when choosing a protection plan. That is why our agents work diligently to gather all of the available and necessary information needed to obtain quotes that meet or exceed each and every one of your coverage needs. Home insurance: Covering your home against losses caused by fire, weather and other accidents is an important strategy for avoiding hefty out-of-pocket repair expenses. We work to help you choose the homeowners policy that offers the utmost in protection for your home, your property and your personal assets and possessions. Car insurance: The proper automobile insurance should provide financial protection against any contingency, including accidents, theft or collisions with uninsured drivers. We work to ensure that the policy you select addresses all of your specific coverage needs. Personal liability: While homeowners insurance protects your property, most basic home policies do not protect you against lawsuits filed by individuals injured on your property or in accidents in which you hold fault. Adding a personal liability or umbrella policy to your coverage plan can be invaluable in helping you avoid financial ruin in the event of a loss by a third party. Multi-policy discounts: Many providers offer discounts to customers who carry more than one policy. For example, adding an umbrella policy through your current home coverage provider may qualify you for a discount. Good driver discount: Many car insurance companies offer deep discounts for customers with driving records that are clear of accidents and moving violations. We will help you understand each company’s available discount programs in an effort to help you determine your eligibility for good driver savings. Our friendly staff is committed to providing the personal and expert advice you need to understand your insurance needs and your options for securing protection. To begin comparing available coverage plans, request a quote online or call 225-408-3333 today. For answers to specific questions, or to reach us outside of office hours, contact our Baton Rouge agency online.